Death is the ultimate confrontation, What is left behind challenges us, So why not celebrate it? 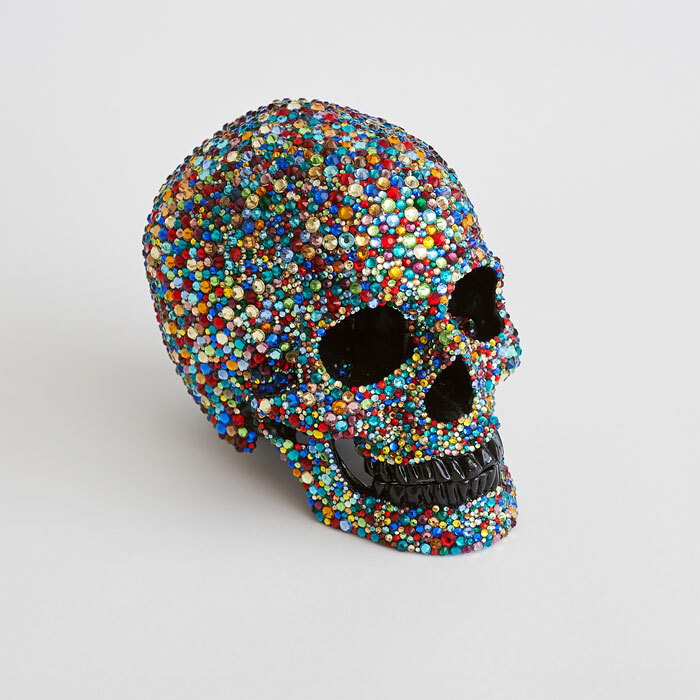 Beautiful Death explores the themes of death and adornment. The works featured include Bull & Ram Skulls to Resin human Skull replicas. All individually covered in different materials that play on light. 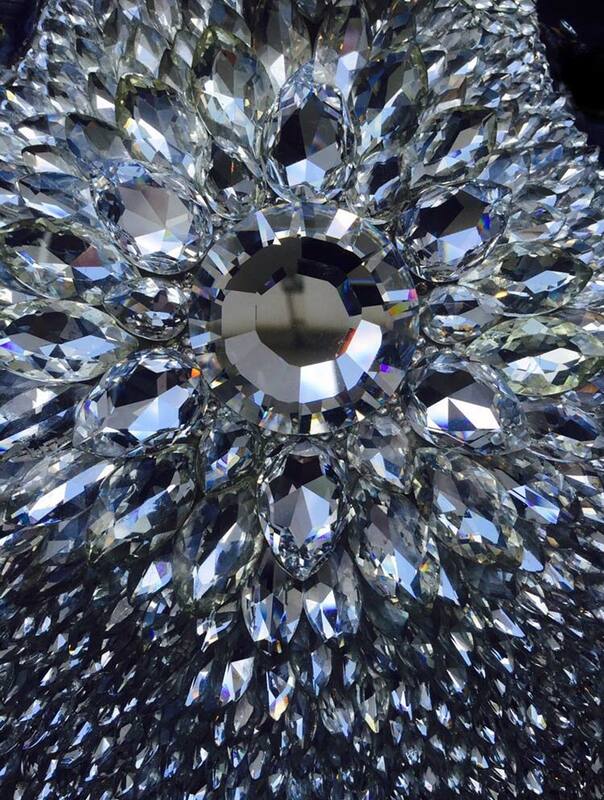 Each work glows, glitters, sparkles or reflects light intended to draw in the viewer and evoke an emotion. 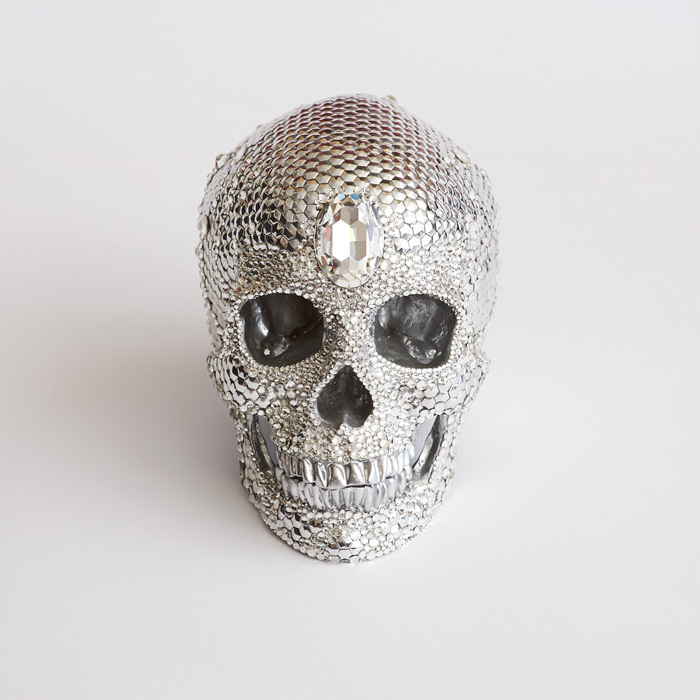 I have always loved Skulls, I think they are beautiful, so I decided to decorate one and put in my home. I found it a therapeutic process placing each crystal or bead as perfectly as possible as if it was a piece of jewelry. I have worked in the world of Luxury Fine Jewelry for 13 years and have seen the powerful emotional responses they can evoke in people. It is a wonderful thing to witness this moment of shear fascination and joy in another human being. 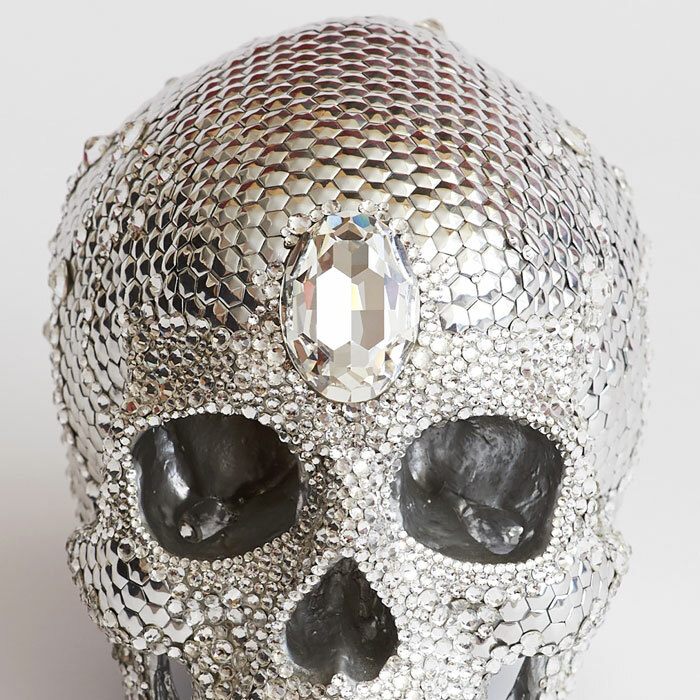 Each piece has its own unique personality designed to insight a curiosity, an attraction. 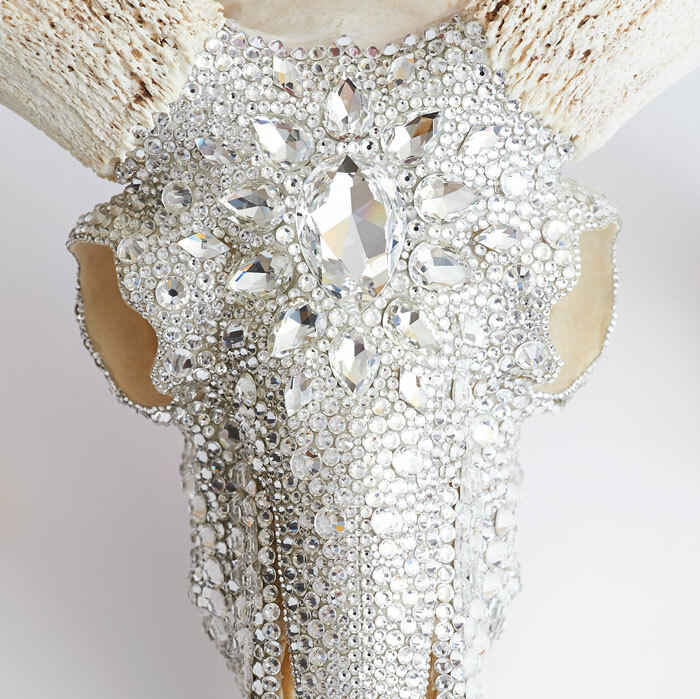 I would look at each skull before deciding to adorn it and think about what emotion I want to incite. Using different materials this personality would develop and come to life. Ultimately I found I was transforming these symbols of death into something beautiful, a precious object that could be cherished and celebrated as if it was a piece of jewelry.